Results are evident since the first sessions with an average of localized fat reduction of 30% every 15 treatments. 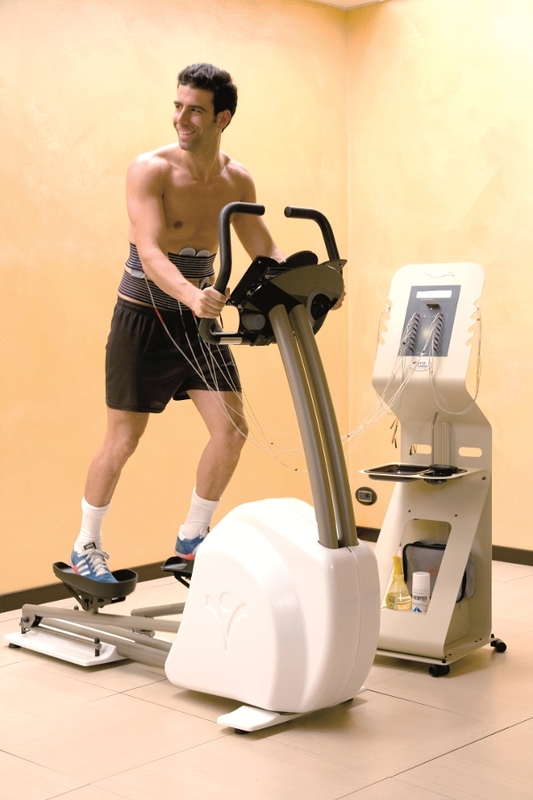 Thanks to the specific and patented waveforms of the electronic device Professional, to the aerobic or anaerobic movement after the treatment, a method to lose weight with sure and quick results has been created. With this method a healthy weight loss based on the reduction of excess fat and the increase of lean body mass in different parts of the body such as abdomen, hips, legs and gluteus is guaranteed, giving the body a pleasant feeling of wellness and lightness. The programs of this system are specific for muscle recruitment increase. It is applied to those people who have followed slimming treatments but also to subjects who have muscles in a hypotonicity state or with tissue laxity due to age, sedentary lifestyle or after pregnancy to tone the abdomen. People who have dealt with weight loss need highly effective programs to get back into shape. They are specific treatments to reach maximum body toning and modeling: firming up and lifting quickly your gluteus and sculpting the abdomen. For men for example this program is essential to sculpt abdominals in a short time and reach the typical desired “chessboard” effect. By using the specific frequencies of the device combined with light physical exercises performed in accordance with muscle physiology laws and training rules, this specific program allows reaching amazing results in muscle definition. The relaxation session can be completed with other services available at the VIP Center such as: Bio-Relaxation Sauna, chromotherapy, Turkish bath, massage on the VIP Massage bed. 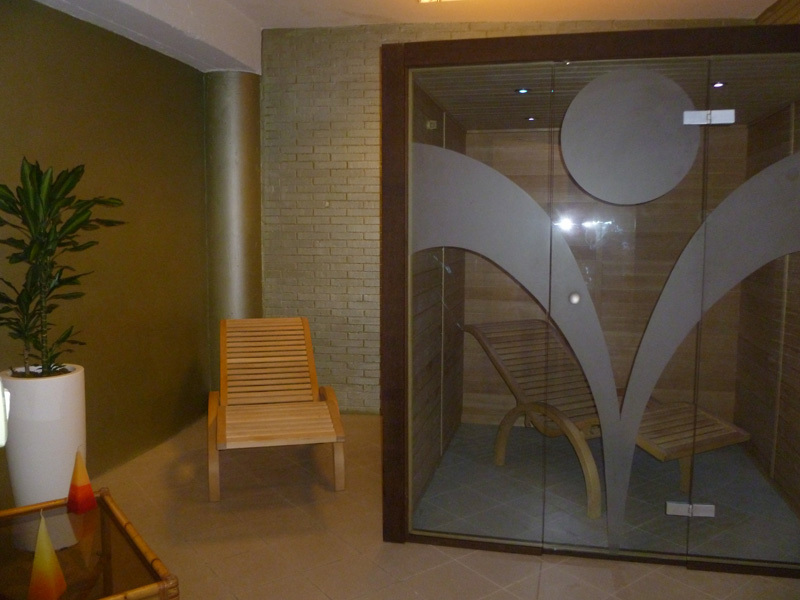 The Bio-Relaxation Sauna in particular has great advantages and differs from the traditional one for the way in which the heat is released. The vapor produced is not steam generated by heated stones and wet with water, but it is emanated from infrared rays. These rays have important beneficial properties. 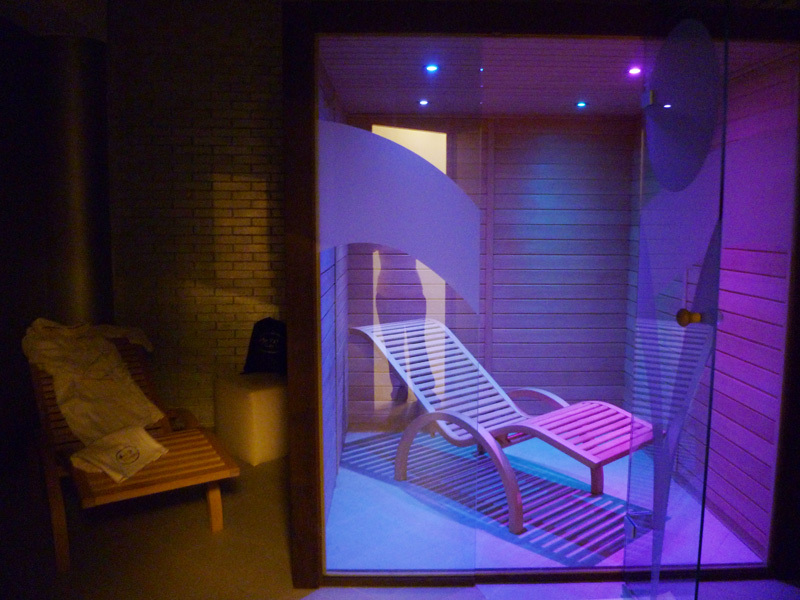 The Infrared Sauna stimulates the human body to excrete greater amounts of toxins that can be expelled only by means of infrared, and for this characteristic, it has become one of the main symbols of comfort, relaxation and body care.